Gregory Weitz is an accredited lawyer of the Israeli Bar since 2007. He holds a law degree from Bar Ilan University. He originally comes from Belgium. As head of the “VIP Alyah”, Gregory Weitz brings his expertise in immigration law and international tax law to assist his clients in their integration in the Israeli Society. Gregory Weitz also handles inheritance and civil law cases. He provides counseling and resolves litigations before the court. Mr. Weitz is fluent in French, English and Hebrew. 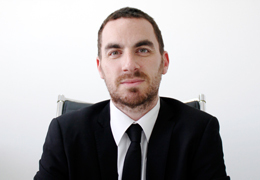 Olivier Amsellem is an accredited lawyer of the Israeli Bar since 2007. He holds a law degree from Bar Ilan University. He originally comes from France. 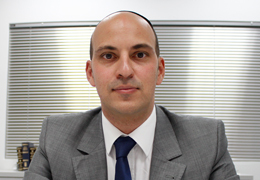 Thanks to his past experience within a large Israeli law firm, he specialized in real estate, mortgages. He is capable to evaluate the most complex issues related to real estate transactions and to develop an appropriate strategy for each of his clients. Increasing complexity of real estate laws, sharps litigations and regulations make him a real asset to the firm. Olivier Amsellem is fluent in French and Hebrew.